The Food Alphabet and More: Fish & Co. presents the Ultimate Fish-Mates, a feast of flavors! Delight in this newest combination platter that includes satisfying servings of Seafood Curry, Leg, Thigh, Peri-Peri Chicken and steamed rice. Enjoy every bite of the savory chicken marinated in spicy Peri-peri as it marries beautifully with seafood drenched in curry sauce. 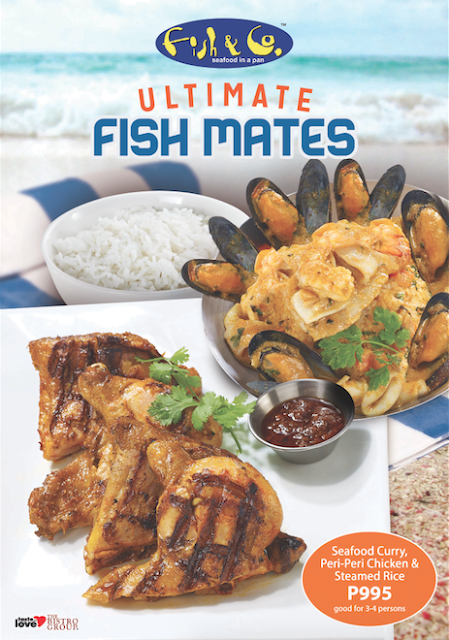 Priced at P995, this could easily be your next combination dish of choice.